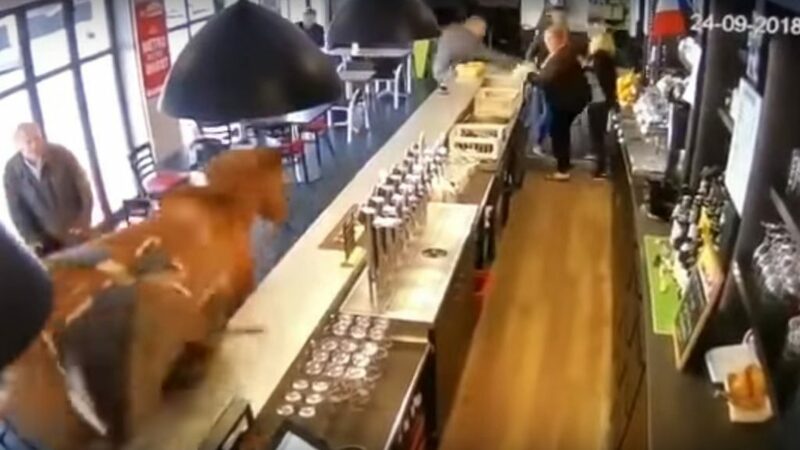 It might sound like the beginning of every joke, but a well-known betting bar near Paris was stunned to see one of their favorite subjects walk into the bar itself. For as much attention is paid to horse races at these bars, it seems to have been the first time a horse has entered the premises. The incident was documented by the security cameras at the bar near Paris, before spreading across the world. 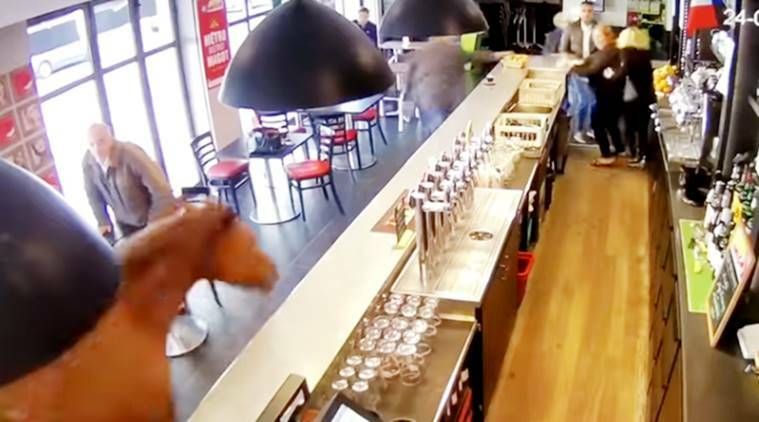 The horse had no intentions of entering peacefully, as she storms into the establishment, which was located less than a mile from the Chantilly Race Course. 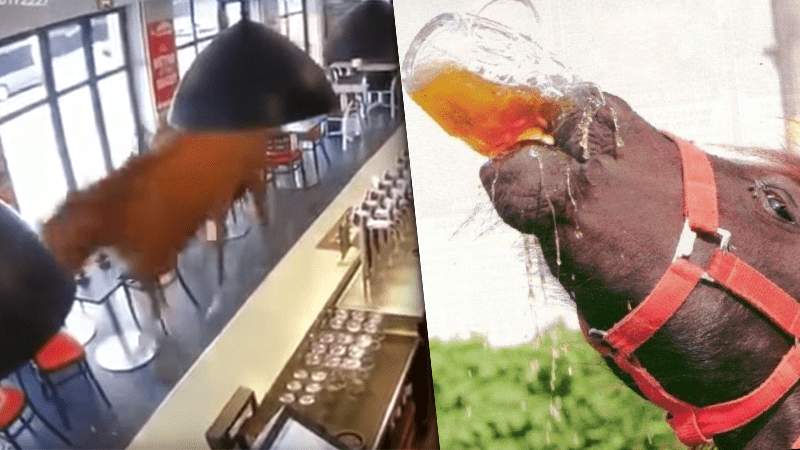 The employees of the pub jumped into action the moment the horse began wrecking her havoc on the interior. 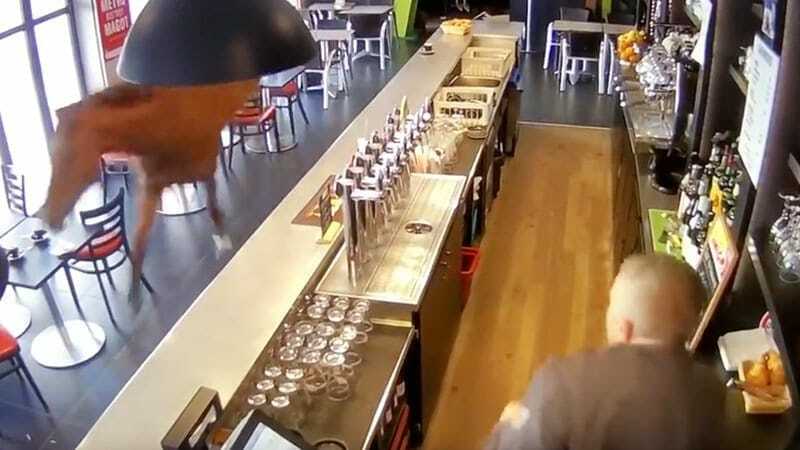 She managed to kick over a number of tables and chairs before striding up to the betting bar where employees worked quickly to lead her back outside. Surprisingly, the errant horse did little to inspire betters to put their money on her or any other horse, rather she seems to have scared them away upon her eye-catching entrance.